We are often asked a lot of similar questions. What it comes down to is that people want to know how to get rid of their timeshare. They want to know the best way to get rid of a it and the easiest way to get rid of a it. Basically, people come here wondering how they can get rid of the property in the easiest fashion or when searching for specific ways of getting rid of their resort unit that is no longer wanted.We are often asked a lot of similar questions. 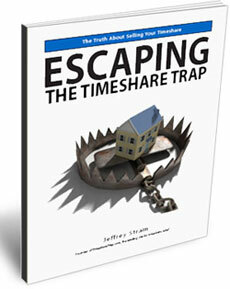 What it comes down to is that people want to know how to get rid of their timeshare. They want to know the best way to get rid of a it and the easiest way to get rid of a it. Basically, people come here wondering how they can get rid of the property in the easiest fashion or when searching for specific ways of getting rid of their resort unit that is no longer wanted. We wish there was a simple answer, but the truth is that there is no “easy” way to get rid of these properties. The fact that you’re here indicates that you have also come to realize this, and hopefully you’ve done so before giving a lot of money to scammers who promised you an easy way to get rid of the unit you own. While there isn’t an easy way to get rid of these properties, this doesn’t mean that it’s impossible to get rid of it. It does mean, however, that you will need to make a commitment of both time and energy in order to rid yourself of the resort unit that you no longer want. Escaping The Timeshare Trap puts together a list of over ten possible ways of getting rid of your property which anyone can pursue. These options are legitimate and we know they have worked for others who’ve found themselves in a similar situation of no longer wanting or needing the unit that they own. Some you may have already considered yourself, while others will likely be new. There are no magic bullets and all of the ways will require some time and energy on your part. If you’re interested in knowing the ways that others have used to get rid of their units in the past, Escaping The Timeshare Trap will give you that information, as well as common reseller scams to avoid. There are two ways of accessing this information. All the information in the eBook is available for free on this website. You can access these pages at no cost and we hope that they will help you find a way to get rid of your unwanted property. If you want all this information easily accessible in one place, you can also purchase the eBook. No refunds, as this is a digital purchase.